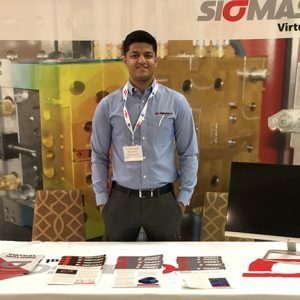 The Schaumburg, Illinois location of LSR 2019 affords the unique opportunity to participate in a half-day workshop at Sigmasoft’s local facility. Limited to 25 participants, the workshop will include hands-on learning about LSR simulation. The conference will be held at the Chicago Marriott Schaumburg. 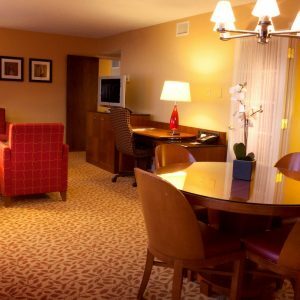 A block of rooms has been reserved for conference attendees at a special rate of $155 per night. You are responsible for making your hotel room reservation. The cut-off date for our block of rooms is July 31, 2019. The hotel may not guarantee a room after that date. 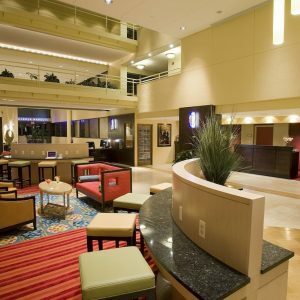 Attendees can reserve their rooms at the conference rate here. 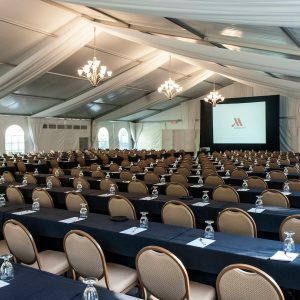 Call 800-228-9290 and request the LSR 2019 group rate for Executive Conference Management. For more information on this optional workshop, please click here. LSR has been the fastest growing segment of the silicones industry for over two decades, and has showed little signs of slowing or market maturity. What will the next 5 years look like? This presentation will discuss the findings from Freedonia’s upcoming market study on the LSR industry in the US. Topics will include a breakdown of major end-use markets for LSR, pricing issues, international trade, and the industry structure. Forecasts for LSR demand will be discussed, including what areas have the greatest opportunities for growth. Since Liquid Silicone rubber (LSR) was introduced in the late 70`s it has made its way into many markets and applications because of continued enhancements in processing technology and final properties. This presentation will show the LSR “Characteristics” from a new perspective. Key components defining an LSR are the process to make it, the theology, the kinetics and the mechanical properties. The processing benefits of the new generation LSR, characterized by low viscosity and structure build up, but also fast cure and long pot life, will be outlined with examples. A market picture and the drivers for product innovation leading to the focus of this presentation describing new LSR innovations for aautomotive electrification, heat resistance, rregulation compliance, process optimization, enhanced efficiency and new design freedom. Dr. Hans Peter Wolf studied Chemistry at the University Frankfurt and completed his Ph-D. in inorganic Chemistry 1988 with the dissertation work about „Gasphase reactions on Raney Nickel and with shock cooled zinc“. He started his career at Dow Corning in November 1988 and worked as research and TS&D chemist for direct process and automotive market until 1991. From 1992 -1996 he worked in the supply chain organization as Upgrade Engineer and later as Elastomer Production Leader in Wiesbaden. Between 1997- 2007 he was Manager of the application technology and technical service team for Silicone Rubber in Europe. Since 2008 he is Research and Development Manager for Silicone Rubber now as well at DOW having Dow Corning integrated from June 2016 on. LSR is the most remarkable of silicone rubber technologies possessing all the inherent advantages of silicone rubber and unparalleled for automated, precision molding yet it harbors the versatility for novel processes and applications beyond the confines of molding parts. Discover LSR’s hidden talents and how it can be tailored to processes and applications where silicone rubber may have been previously dismissed. Mike Fil, Business Development Manager, Extreme Molding, LLC. As silicone continues to become a more popular material choice for many different applications and industries, it’s important for silicone molders and part designers to consider how their designs and material selections can affect throughput and cost. Selecting the correct LSR, based upon cure profile, can greatly improve profitability and allow youto mold different geometries more effectively. Industry 4.0 has been established in our Silicone world as well as other industrial fields and is getting more important day by day. Main Intention for using “Big Data” is to control Process and Process flow by sharing data & information. Analyzing, overlapping, and sharing of Big Data can improve also your Molding Process. This presentation shows a potential value of the new liquid gold. Regardless if the end use in a laundry machine, a sealing component inside a car or even if the application is a baby pacifier: nearly no product is introduced to mass production anymore without being virtually tested and evaluated with the help of simulation. We will focus on this central question during the presentation looking at key figures like mesh size, mesh quality, mesh transitions, mesh types, material characterization accuracy, material data quality, and material modeling with focus on non-linear modeling techniques. All these topics will be discussed with examples and results of non linear simulation with Liquid Silicone rubber compounds. Each topic will be reviewed in depth showing good and bad setup versions indicating the impact on the post processing result which is key for the real life experience which customer/part user is experiencing. This will be highlighted during the speech with easily visible and distinctive examples of simulation results from a matseal application (automotive application) showing the trade-off which a non 100% accurate simulation model is causing. Ryan Hall is a product development engineer with Starlim North America located in the London Ontario facility. He attended The University of Western Ontario where he received a Bachelor of Engineering Science specializing in Mechanical Engineering. He also has a Materials Engineering Certificate from Ryerson University. Ryan has gained 20 years of experience in new product development with various companies, in addition to Starlim North America. He has held positions with Cooper-Standard Automotive, Brose Canada, Invista and Johnson Controls. The last 8 years have been in the research and development field and specifically elastomer related. Attendees will learn about quality prevention technology that helps reduce the part development time while achieving high quality. As globalization increases and almost every company has Subsidiaries / Partners / Customers all over the world, it becomes very cost and time intensive to provide support in a decent manner. Flexibility, Reaction time and Qualified support under all circumstances around the world has become a Key decision & success factor. Virtual Process guidance, Visual Maintenance, and Visual Remote support are new technologies provided to ACH customers to overcome these key problems. “ACH Solution” with their partner “AVR Tech Innovations” provide inside in the new Approach on using Mixed Reality to provide support with minimum delay. One factor that is often overlooked and can add a substantial amount of time and cost is validation of the manufacturing process. Approval of transfer to production. Understanding these steps will allow the customer to better evaluate the required time and cost a product may require ensuring it meets all the application’s specifications. PTG works closely with its customers to determine the optimum level of validation needed to ensure all their product’s requirements are met. Jay Vang, Moldex 3D and Torsten Kruse, Kruse Analysis, Inc. Liquid Silicone Rubber (LSR) has several unique properties that make it both exciting and challenging to work with. Designing a “Cold-Deck” Mold for an LSR material is particularly tricky, given the temperature differences between the cold deck and the hot tool side. In this study, critical locations in the mold are analyzed for insulation and water management, with special focus on valve pin temperature fluctuations during the molding cycle. Actual movement of the valve pin is incorporated in simulations to study temperature variations, minimize process challenges and help improve part quality. With a Bachelor Degree of Mechanical Engineering from the University of Wisconsin-Milwaukee, Jay Vang is experienced in product design, development, manufacturing, and using CAE tools including Moldex3D, ProE/Creo, Solidworks, and Sigmasoft. 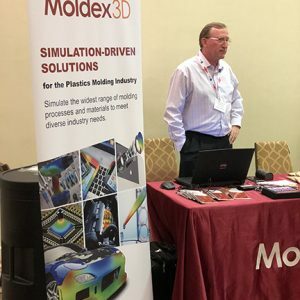 As a customer success engineer at Moldex3D, Jay helps ensure customers are utilizing simulation software as intended to ensure realistic and reliable results. After completing an apprenticeship in ‘plastics technology’ at a Swiss injection molder, Philipp Begert first worked two years as a Process Engineer in Switzerland. Following that he has taken on the opportunity moving to Canada and working for an LSR-molder. There he has played several roles in technical positions within processing and engineering for almost a decade. Being offered a position as Project Engineer / Project Manager at Trelleborg Sealing Solutions lead LSR & 2K-Molding facility in Stein am Rhein, Philipp decide to move back to Switzerland. Taken on this new role he is now responsible providing technical project engineering to the customer and leading complex projects by applying the long-time experience within the LSR / 2K molding & engineering. This presentation is based on the combined experience of 4 renowned mold makers in the silicone industry. We will outline design issues we have seen in silicone products. When designing products for silicone injection molding, there are rules that need to be followed. We will outline why some design issues can make a product unmanufacturable. Product designers must understand the need for strategic gate and parting line locations, the importance of tolerances, how a part will be molded and removed from the mold and why it is advantageous to get an experienced silicone mold maker involved before the product design is finalized. Medical device designers and engineers strive to develop solutions that meet stringent performance requirements, while making devices safer and more reliable. Flexible elastomers are critical to the development of new and innovative medical devices, providing sealing , gasketing , and fluid transfer properties. This presentation will compare and contrast silicone elastomers versus thermoplastic elastomers (TPEs) and illustrate why medical device designers and engineers should consider silicone elastomers for design and manufacture of medical devices. Chris Claussen has over 20 years of elastomer expertise. Chris currently is the silicone elastomer Global Marketing Manager for Healthcare at Momentive Performance Materials. Chris has held other leadership roles within Momentive over the last 14 years, including those of Regional Marketing Manager for Consumer Goods (North America), Field Market Developer (Healthcare & Consumer) and Account Manager. Chris holds an MBA from Indiana University and a Bachelor's of Science in Chemistry from the University of Wisconsin Stevens Point. Producing Liquid Silicone Rubber (LSR) components for the medical field requires measures to ensure an environment suitable for the requirements of the program. In this presentation we will review the various inputs that go into a hygienically-controlled environment and the associated controls. From procedural based cleanliness to a certified clean room it is important to identify high risk factors in the manufacturing process flow and external elements such as material loading, machine maintenance and part handling. Once established, attention to detail and sustaining the cleaning and maintenance routine are paramount to the quality of the operation. To achieve a proper quality output, focus must be placed on the quality of all the inputs. In addition to controls optimizing procedural and manufacturing processes, the material also plays an important role. 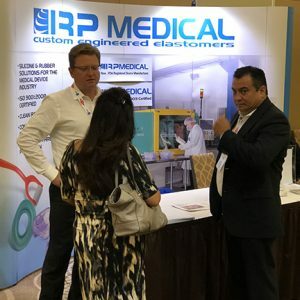 LSR’s characteristics and benefits, such as its innately pure raw material formulation, bio compatibility, and flexibility in numerous operations, make it a favorable material choice for medical applications. We will discuss the formulation principles and capabilities of a new class of highly flexible and versatile silicone elastomeric materials for 3D printing. The present approaches to the formulation of 3D printing compositions involve mostly new polymer and initiator chemistries, which allow rapid polymerization during the sculpturing process. In contrast, our group has introduced an extremely simple, elegant, and efficient idea to develop principally new printing compositions: Making capillary suspension inks that use the same elastomeric material both as solid beads and binder [Adv. Mater. 29,17015542017]. The liquid-mediated particle systems are thixotropic and can be rapidly extruded and solidified. The patent-pending method has been named “3D printing with Homocomposite Thixotropic Paste(HTP 3DP)”, because the two major components that establish its rheology, liquid PDMS and PDMS beads, are of nearly identical chemical composition. The curing of these inks results in extremely flexible, soft and extensible elastomeric materials, whose extraordinary properties are based on the strong cohesion of the cured liquid and particles in porous elastomeric architectures. The HTP methods allows 3D printing of silicone and elastomer materials that combine several properties – they could be ultra-soft, porous, easily extensible, highly cohesive. They could also be composite and made to possess magnetic response and reconfigurability. As this ink is made of porous biocompatible silicone and can be 3D printed under water, it may also find applications such as direct printing of bio-scaffolds on live tissue, or magnetically actuated scaffolds for artificial organs. Wide range of material types, fast curing times, consistent part quality, better material yield and finally higher output has made LSR the class leader in the world of elastomers. But things change: Driven by the diversification of elastomer products and their requirements -but also due to further development steps in material, mold, process and automation solutions, high consistency rubber starts shining in one´s old glory and allows new applications. Against this backdrop the presentation will show the latest developments for HCR injection molded parts compared to LSR. From new material formulations, complex processing on injection machinery, to mold and automation concepts. Principal examples serve as explanations and round off the lecture. After her high school graduation in Germany Cordula Wieland completed successfully an apprenticeship as an industrial business manager at Siemens AG in Munich and stayed for additional six years as conference manager. Subsequently she studied process engineering for plastics and synthetic materials at the university for applied sciences Munich and completed her studies with a diploma thesis on the subject of “Coextrusion foils for identification cards” in a leading technology company. Positions as development engineer, project manager and finally product manager followed. Since January 2015 Mrs. Wieland is working as product and technology manager for the KraussMaffei Group and concentrates on small injection molding machines as well as on thermoset and silicone technologies. For short run LSR production (e.g. 50 to 500 shots) the cost-per-part can be inflated by several times that of part price achievable from higher batch production injection molding. This inflated cost is due either to the labor-intensive process of compression and transfer molding or the costly process of material changeover for an injection molding machine. LIMWORKS, LLC has developed the PROCHANGER™ injection molding machine, a proprietary design which aims to provide a solution for high quality, cost competitive injection molded parts for small batch production runs. Savings can be found by reducing material and tool changeover time down to minutes, minimizing and moving clean up off-line. Additional machine features that aid quick tool change, automate ejection, and control part quality will be explained with part examples. This presentation discusses key tangible and intangible factors teams consider when determining whether production automation is the right path forward. Factors which can include annual volume, component design and customer requirements (i.e., attributes and variables). Using this information as a foundation, the presenter segues to options to consider when full automation is not justified, options which may include Partial Automation,(molding only, secondary operations, and inspection/wash operations. )Rotary Molding Machine Options,(advantages and cycle time overlap); and, One Operator/Multiple Machines. Liquid Silicone Rubber has become increasingly popular in manufacturing due to its design freedoms, unique flow properties, and biocompatibility. Despite the mainstream appeal of LSR, many OEMs underestimate the differences between launching a program with silicone versus another material. Silicone offers the ability to fill part geometries and employ high levels of sophisticated automation that would not be possible with a thermoplastic elastomer or a traditional rubber compound, and therefore requires unique preparations and processes in order to be successfully molded. The most essential factor in building a successful silicone molding program includes prototyping to the exact intended production method. Incorporating production-intent tool design at the prototype stage allows you to evaluate any and all criteria required for automatic production. Customizing molds for LSR is crucial for part consistency, and prototyping for high volume production minimizes design changes and reduces time-to-market. OEMs should constantly expand their material libraries with the newest LSR grades designed specifically for flashless automatic molding and consider unique material combinations such as two-shot or multi-material molding for added design and performance options. Liquid silicone rubber with modified adhesive properties enables multi-component thermoplast/silicone composites to be injection molded without requiring mechanical linkage. In most cases, the chemical structure of the in situ bonding agent is only capable of connecting to chemically compatible thermoplasts, such as PBT and PA. When dealing with Polypropylene a previous surface modification has to be performed in combination with the use of a special self-adhesive LSR. Preliminary studies for this material combination showed, that a UVC-light irradiation generates a very powerful effect on the adhesion promoting if the irradiation conditions are suitable. Using a common mercury vapor arc lamp, irradiation periods around five seconds are enough to generate a strong bond after overmolding with cohesive failure within the silicone rubber. In this study, the effects, correlations, and limits of the UVC light treatment applied to PP/LSR composites were evaluated using experimental designs. In addition, the influence of warm storage at 80°C and 120°C and moisture storage at 85°C, 85% r.h.were investigated up to a storage time of 3 month. For all tests the VDI guideline 2019 represents the test specification for adhesion strength. Results are that surface activation works for different polypropylene types (w/wo glass fibers) and long-term warm storage tests have no influence on adhesion, but in combination with moisture still improvements are needed. 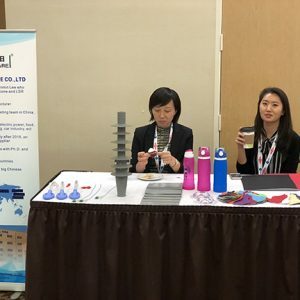 Overall this new technology opens avenues to new applications and markets as so far no direct adhesive bonding between Polypropylene and LSR was possible. Dr. Ralf-Urs Giesen studied Mechanical Engineering specialized in polymer process engineering at University of Paderborn/Germany, after that he made his PhD at the University of Kassel/Germany. In 2009 he took up employment as scientific assistant in the Institute for Materials Technology, Department Polymer Technology at University of Kassel/Germany. Currently Mr. Giesen is the managing director of the Polymer Application Center (called UNIpace) of the University of Kassel and also the head of the division Polymer Process Engineering in the department of Polymer Technology. Multi Component molding applications of today require different approaches. Thermoplastic over Silicone, Silicone over Silicone, all of this for regular machines or even Micro needs. The presentation will cover that these applications need to be approached totally different dependent on the requirement. Application examples will be reviewed in how the problems were approached. Regular screws, plungers are all solutions that can play part in these different applications. Important is to understand limitations and challenges in order to select the correct technology for the application at hand. Juergen has Plastics Degree from the Technical College in Troisdorf Germany and a PhD in General Engineering. He started in Plastics at a Packaging Company in 84 with a 3 year apprentice program to become a Plastics Technician. In 1992 Juergen went back to College to get his Engineering degree in Troisdorf. In 1996 Juergen came to the US on a temporary assignmet and in 1998 he moved permanently to the USA. 2002 Juergen moved to CA to become the regional Manager for Arburg on the West Coast of the USA. In 2015 Juergen moved back to CT and is now responsible for Engineering and Technology at Arburgs Headquarter in Rocky Hill. Speakers, titles, and topics subject to change. Agenda will be updated if and when changes occur. Torsten Kruse, the founder and president of Kruse Analysis and Kruse Training, is a leading expert in the injection molding industry, providing innovative CAE simulation services, software applications, and state-of-the-art online training for design and process engineers. At Kruse Analysis, Kruse delivers the science of optimizing injection molding part design through simulation technology. He provides his clients with evaluations, simulations, and solutions using a streamlined approach that allows Kruse Analysis to remain competitive without sacrificing quality. Now Kruse has developed Kruse Training, a platform that delivers the knowledge and expertise obtained over two decades in the injection molding industry with the goal of developing synergistic teams of cross-trained professionals who can successfully design and mold plastic components. Before starting his own companies, Kruse had a successful ten-year career with Arburg, Inc., working on various molding applications and developing and delivering training programs. Kruse traveled extensively to obtain a wide spectrum of hands-on industry experience that he now shares with his simulation and training clients. Kruse is a graduate of the Plastic Technology Institute, Braunschweig, Germany. Kruse Analysis and Kruse Training are based in Naples, Florida. · Stefan started at Kabelwerke Reinshagen as a tool maker in 1981 He holds a degree in Machinery Engineering from University Wuppertal and a Degree in Since and Economics of University Dortmund. He held various positions at Reinshagen and later at Delphi Automotive System in Tool & Process Engineering and Operations He was 7 Years Plant manager of Delphi Wuppertal Plant. Since 2013 he is responsible for Global manufacturing Engineering for LSR. 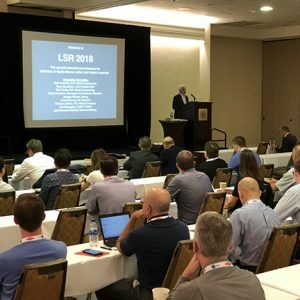 Interested in sponsoring LSR 2019? Sponsors receive 2 free admissions to the conference, one free tabletop at the Exhibit, and their logo will be will be posted on the webpage of LSR 2019, as well as on screen during the conference. Please visit the registration page to purchase a sponsorship. If you have any questions, e-mail Heather Dib or call 586-737-7373. 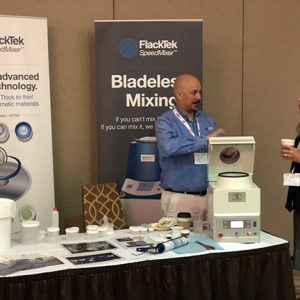 “I really enjoyed the conference and have already recommended it to several people.”—Sherry Anderson, Shin Etsu Silicones. “High quality and great value event. 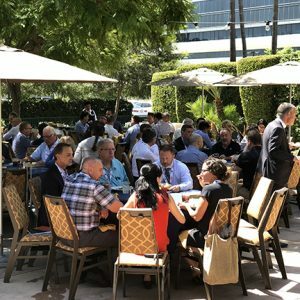 It was a very targeted audience and I was able to meet most of the key global people.” —Paul Wheeler, Lord Corp.
“The quality of speakers and total amount of people was excellent.” —David Gwaltney, Applied Medical. “Excellent initiative and great opportunity to network. Excellent organization.” —Paul Massicotte, PlasAI inc.
“Very valuable as this is a new technology for me,” —Tom Neehan, Eastman Chemical. 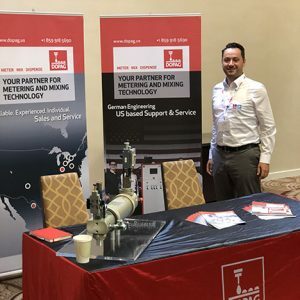 “Thank you for a very informative conference,” —Lewis Fiecke, Turck Co.
“Extremely valuable conference from a networking perspective as well as learning about new technologies and market interests,” —Pradnya Parulekar, Nusil. “Thanks for putting together a well-run conference. Highly valuable event. Congrats!” —Steve Wilsom, Cold Jet. “A very well planned program and topics that were designed to teach, not sell.” —William Inman, Dow Corning. 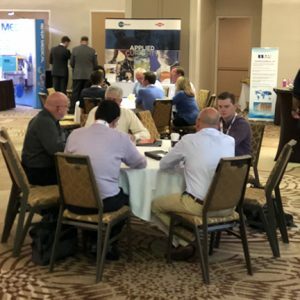 The SIGMASOFT® Virtual Molding LSR Workshop will provide LSR 2019 attendees the opportunity to sign up for a unique hands-on experience with SIGMASOFT® Virtual Molding and understand how it can be applied to address their molding needs. With the assistance of the SIGMA Academy staff, participants will gain an understanding of utilizing real world material data and the importance of capturing the correct manufacturing inputs from the production floor and implementing them into SIGMASOFT® Virtual Molding software. 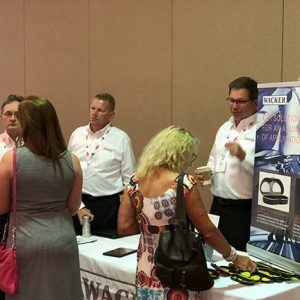 The attendees will also review the types of results that can be used to be applied to LSR parts to further aid in addressing their manufacturing needs. Finally, an advanced approach of the software will be discussed that focuses on utilizing the ability to carry out Virtual Design of Experiments and take advantage of Autonomous Optimization, allowing SIGMASOFT® Virtual Molding to find the optimal solution! The workshop will be at SIGMA Plastic Services, 10 N. Martingale Road, Suite 620, Schaumburg, IL 60173. 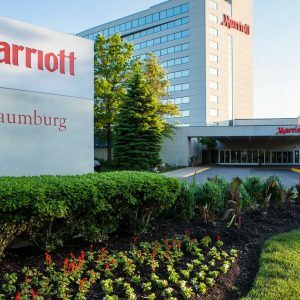 It is a nine minute walk from the Marriott Chicago Schaumburg Hotel, or you may take advantage of the hotel’s shuttle service to and from the SIGMA facility. Time: Monday September 9, 2019, 11:00 am to 4:00 pm. Lunch will be provided. Note: The workshop is only available to LSR 2019 attendees and is limited to 25 people on first come first served basis. To register, please select the conference registration + workshop option in the Registration tab. Choose whether you'll be attending the conference as an attendee, exhibit holder or sponsor. The conference registration fee is $995 (U.S.A) for registration received before July 31, 2019, and $1395 thereafter. You may make payment by MasterCard, Visa, American Express, checks, money orders, traveler checks, or cash at the door. Personal or business checks must be drawn on U.S.A. currency; checks of foreign currencies will not be accepted. 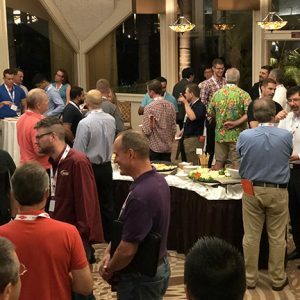 The fee covers enrollment in the conference, Conference Proceedings, Continental breakfasts, lunches, coffee breaks, evening receptions, and half-day trip to Arburg for LSR injection molding demonstrations. 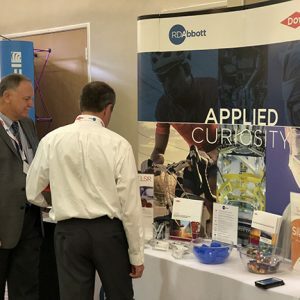 Many leading companies will exhibit their products, technology, and services in LSR 2019. The cost per tabletop is $1500 + conference registration. Call 586-737-7373 to reserve a space at the Exhibit. Note: Available space at the Exhibit is limited to 25 companies; priority is given to the conference sponsors. Two free admissions to the conference (value $1990). Sponsors logos with a link to sponsors website will be posted on the webpage of LSR 2019. 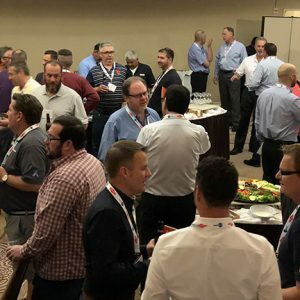 LSR 2019 will include the opportunity to participate in an exclusive half-day workshop at Sigmasoft in their nearby facility on Monday, September 9, 2019. Several workstations will be available for hands-on learning about LSR processing simulation. There is a strict limit of 25 participants. Please enter the information below about the company that is sponsoring this conference. All fields are mandatory. Tell us how many tickets you need and enter each attendees information below. All fields are mandatory; please press enter after completing the form to bring up payment options. Your package includes 1 complimentary admission to the conference. Please fill out attendee information below. All fields are mandatory; please press enter after completing the form to bring up payment options. Your package includes 2 complimentary admissions to the conference. Please fill out attendee information below. All fields are mandatory; please press enter after completing the form to bring up payment options. Tell us how many additional tickets you need and enter each attendees information below. All fields are mandatory; please press enter after completing the form to bring up payment options. How many additional tickets do you need? Use PayPal to pay with any major credit or debit card: Mastercard, Visa or American Express. *Personal or business checks must be in US dollars; checks of other currencies will not be accepted. ECM staff will reach out to retrieve required wire transfer information. Please review the information below to make sure it is correct. Confirmation: A letter of confirmation will be e-mailed to you within one week of registration. If you do not receive it, call us immediately at 586-737-7373 to inquire about your registration status. Cancellations: Cancellation prior to July 31, 2019 will be refunded, less $155 processing fee. No refunds after July 31, 2019; substitutes are allowed.